Manchester United striker Marcus Rashford will have an injury assessed on Wednesday, said England manager Gareth Southgate as his side touched down in Russia for the World Cup on Tuesday. "Marcus took a slight knock, but nothing too serious, so we will have a look at that ahead of tomorrow's session which is open for everybody to see," Southgate told the BBC upon England's arrival in St Petersburg. "But other than that, everybody came through fine. Across three weeks, we have been really pleased to get the 23 we picked through all of the sessions." 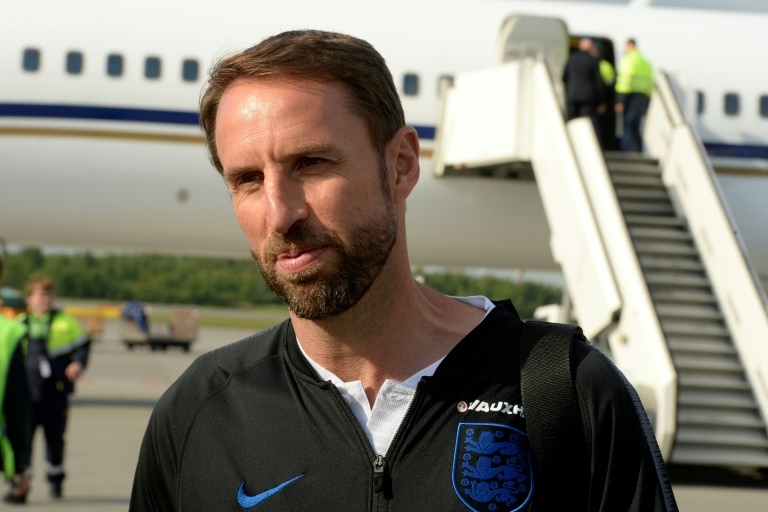 After flying into Saint Petersburg, England headed to their base camp in the seaside town of Repino, 45 kilometres (30 miles) northwest of the city, where preparations will start for the Three Lions' opening game against Tunisia on Monday. "We are obviously excited to be here now. We just wanted to get over here and settled to start to prepare for the games ahead," said England captain Harry Kane. "It is a World Cup - there is always going to be pressure, nerves and excitement. "For us it is about working hard and training hard until the game, then going out there and having some fun." England's arrival at their hotel was met with a strong security and media presence. "We hope we can send people to work the following day having enjoyed our matches," said Southgate before departing for Russia. "I know what those tournament experiences can be like and we desperately want to bring that."